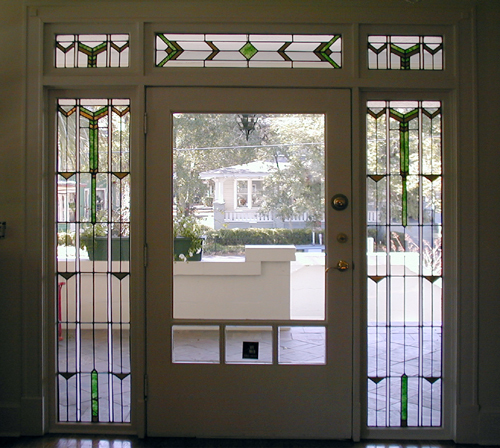 The Prairie School flavor of this house was renewed in a dramatic 1996 renovation. It is a very large, two-storey structure with a stuccoed lower portion reaching up to a beltcourse at the second floor, above which the bedroom windows and stained shingles form a continuous band. The broad, 5-foot overhangs of the tile roof form a sheltering extension over this band of bedroom windows. 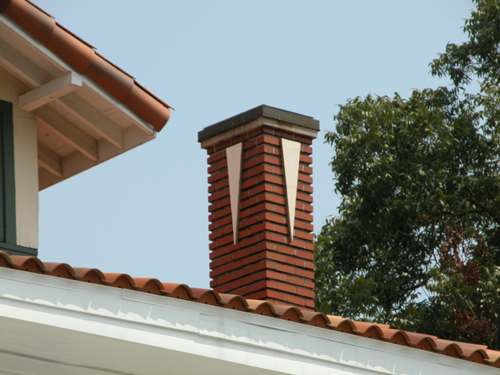 Tall chimneys of brick carry a trademark often associated with Kluthoa projecting V of stucco set just below the chimney cap. 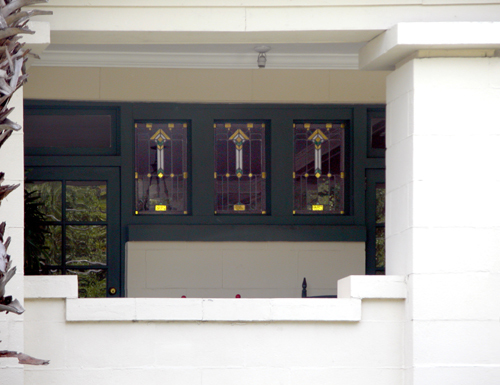 An elevated porch runs across the front and right side of the first floor, lending privacy to the porch-sitters of the early 1900s. A large living room opens into a library-parlor and a dining room beyond as one continuous space. A magnificent stairway is located to the right between the two rooms. 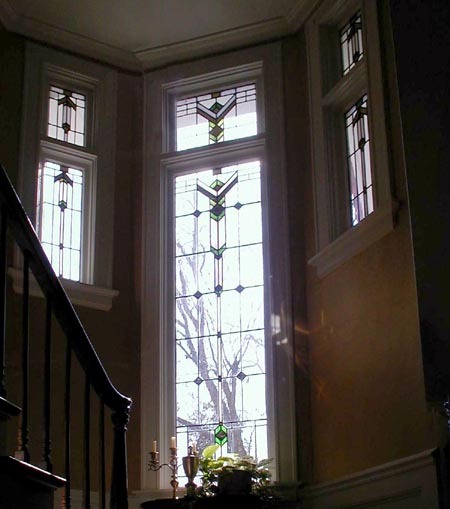 At the landing of this stair is a very fine triple window, tall and elegant with tree-of-life leaded-glass designs. 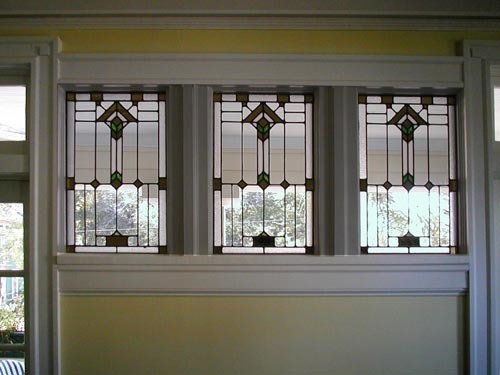 The art glass lights around the main entrance echo this tree-of-life motif, and bands of gold-leaf leaded windows with abstract diamond-shaped designs (reminiscent of those in the Klutho Apartments) are found in the library-parlor. 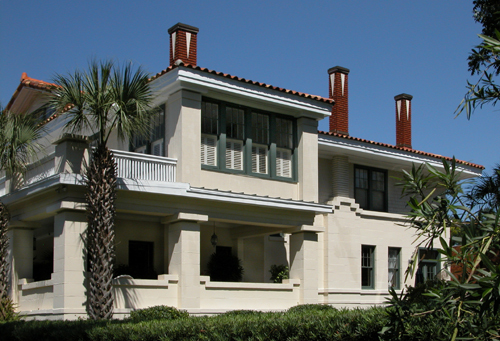 The home was originally built for Alexander St. Clair-Abrams, whose 1901 family mausoleum in Evergreen Cemetery was the first private commission designed by Klutho in Jacksonville. St. Clair-Abrams was an attorney and was best known for his defense of Edward Pitzer in the sensational 1897 Louise Gato murder trial. Amid a courtroom crowded with spectators, St. Clair-Abrams delivered a stirring and impassioned speech of conclusion for the defendant and then dramatically fainted into the arms of a deputy sheriff. Pitzer was acquitted. 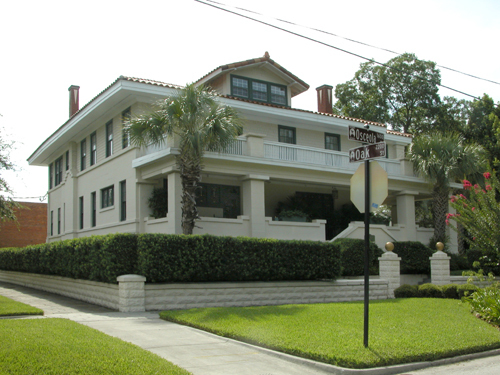 Listed in the National Register of Historic Places in 1985 as part of the Riverside Historic District. Photos courtesy of Wayne W. Wood.